This daltile fidenza 2 in. x 6 in. Dorado ceramic bullnose wall tile comes in an attractive color and features a glazed, low-sheen finish, a decorative motif and slight variations in texture and pattern to add an element of rustic style to an indoor wall. 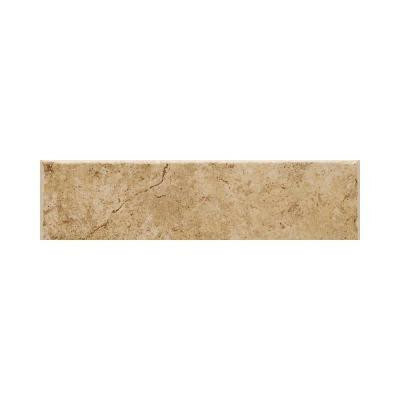 This rectangular tile is constructed from durable ceramic material with a non-vitreous water absorption rating and suits a variety of decorative schemes. You can buy this product in our internet market. We will be glad if you make the right choice.